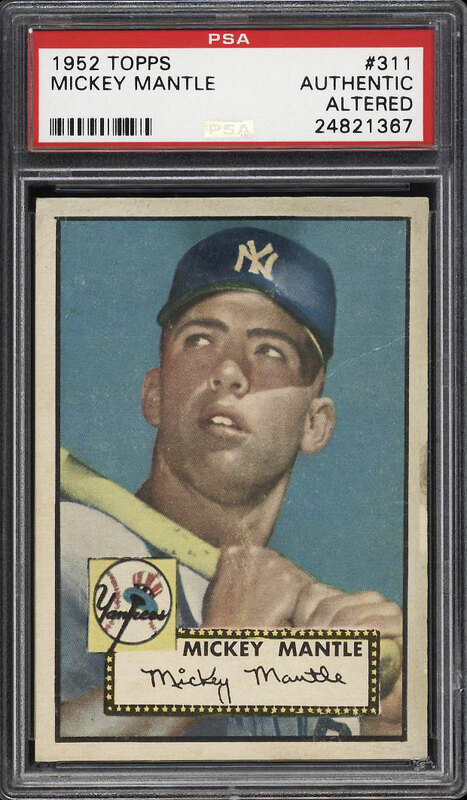 Extraordinary '52 Topps Mantle which comes from a scrapbook and shows magnificent high-grade attributes. The offered beauty displays NM-MT centering; an incredible quality for the issue which is generally plagued by centering shifts. Four pointy corners with wonderful color and clarity. Paper loss on the reverse, some light creasing and stock loss along the right edge downgrade. 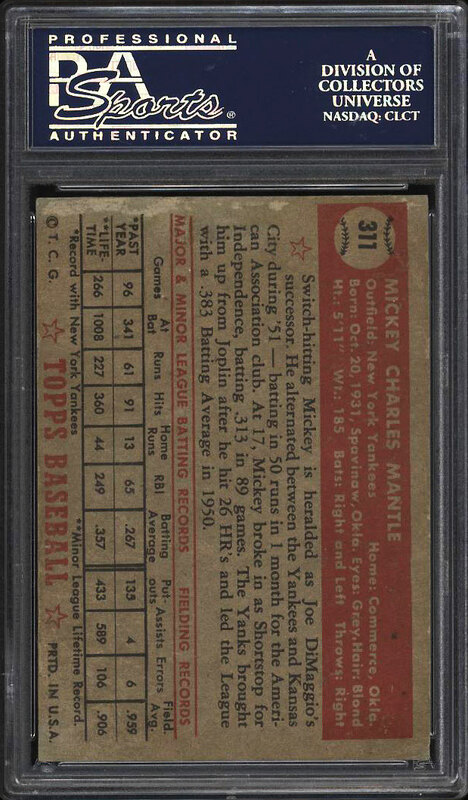 A magnificent '52 Topps Mantle and a wonderful piece of card collecting history. One of over 13,000 cards, lots and sets up for bid in our 5th Auction of 2018. Click on the link above to view the other PWCC auction lots.